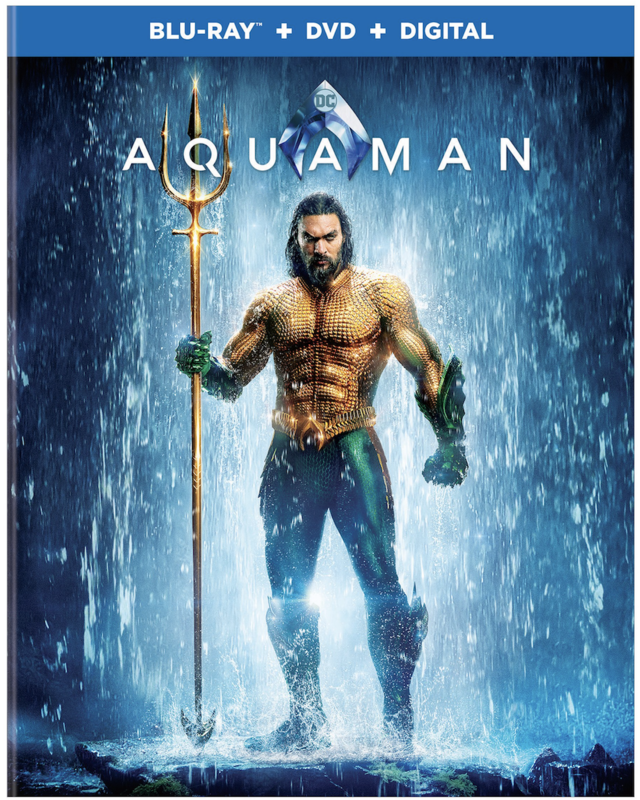 Aquaman, which stars Jason Momoa (Justice League, Frontier) in the titular role, hits Blu-ray, 4K UHD, and DVD on March 26 via Warner Bros. Home Entertainment. Fans can also own the digital version starting March 5. Directed by James Wan (Furious 7, The Conjuring), Aquaman has made over $1.1 billion worldwide, and though a sequel announcement has yet to be officially made, it’s safe to assume another installment will be a reality. In the meantime, Warner Bros. recently announced an Aquaman spinoff titled The Trench is in development. Rounding out the Aquaman cast are Patrick Wilson, Amber Heard, Nicole Kidman, Willem Dafoe and Dolph Lundgren. The extras, which are contained in all versions, include a plethora of featurettes. They are “Going Deep Into The World of Aquaman,” “Becoming Aquaman,” “James Wan: World Builder,” “Aqua Tech,” “Atlantis Warfare,” “The Dark Depths of Black Manta,” “Heroines of Atlantis,” “Villaneous Training,” “Kingdoms of the Seven Seas,” “Creating Undersea Creatures,” “A Match Made in Atlantis,” and “Scene Study Breakdowns.” An exclusive sneak peak of Shazam! is also included in the special features.